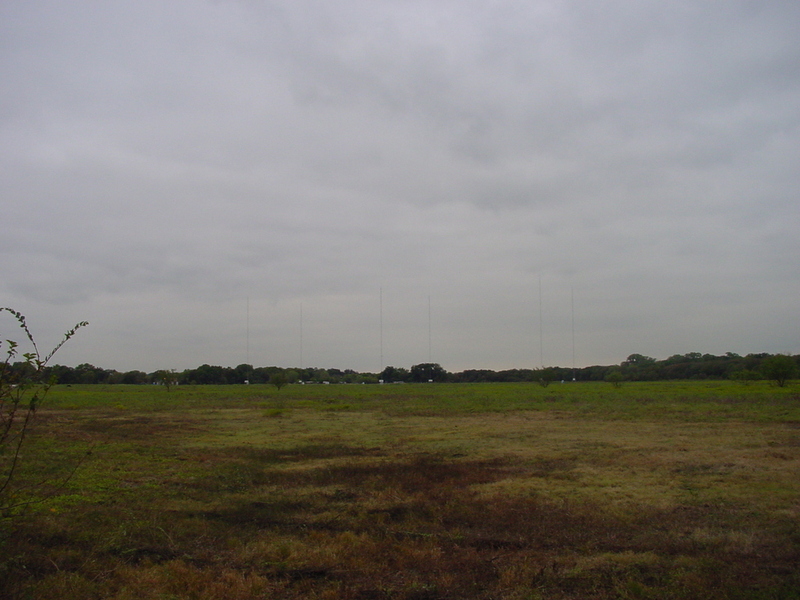 Seen way off in the distance are the six towers of KAHZ (1360 Hurst), Radio Unica's entry in the Dallas-Fort Worth market. This station is a recent move-out from Fort Worth; you'll see the old facility later in the tour. The new facility needs all six towers to meet the protection requirements for its 50-kW daytime signal; only two towers are required for the puny 890-W nighttime authorization. As the callsign suggests, KAHZ was a Radio Aahs station before the failure of that pre-teen-oriented network.